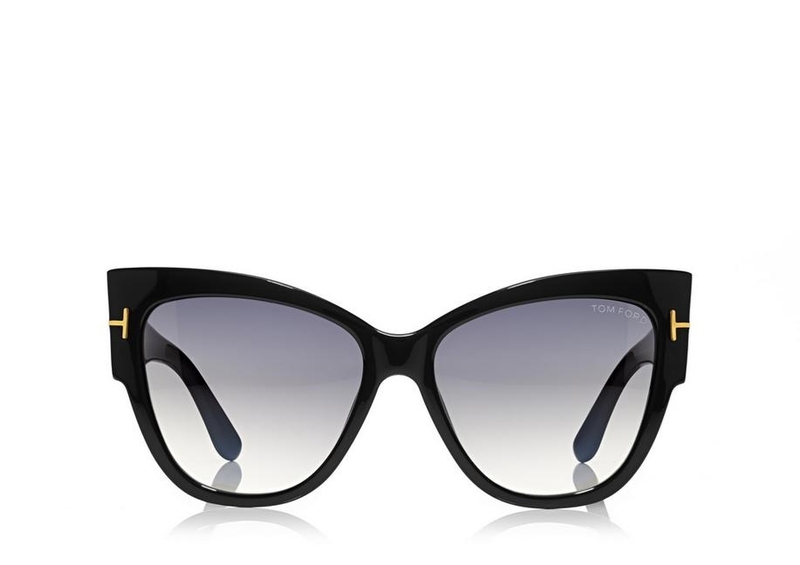 TOM FORD ANOUSHKA FT0371 01B IS A A FEMALE FRAME IN A SQUARED BUTTERFLY SHAPE. Minimal logo, apart from the 'Tom Ford' name etched on the left upper temporal part of the lens, and the Tom Ford 'T' at the temporal front/arm joint. Each Tom Ford FT0371 comes with its own branded case, cloth and packaging, and covered by the sendoptics no quibble 12 month guarantee. The sunglasses are prescription glazable. Please e-mail or telephone us for options available.